Previous Previous post: Are we heading for the total Dictatorship? 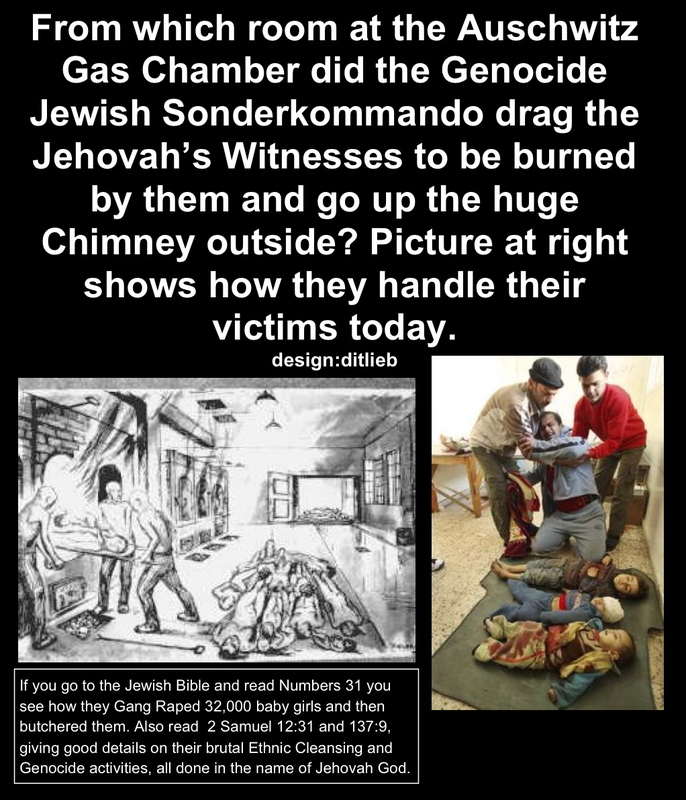 There is no doubt that the Jehovas Vittneses in Auschwitz was not aloud to partisipate in the sondercomandoes work.. They were only gojims and they were not fit to do such skillfull work. No, such fantasic work could only have been done by the only Herrenraase on the Earth – the jews themselves.